If you’ve read a headline about Metro Vancouver recently, chances are it was about drug overdose deaths or super-inflated housing costs. Synthetic opioids like fentanyl continue to kill an unprecedented number of people, and speculation in the real estate market has inflated housing costs beyond reason. These two issues have been plaguing our community for years, and with more than 1,000 overdose deaths so far this year and an average one bedroom renting for more than $2,000 a month, they’re not going away anytime soon. As a reporter, I’ve stopped many times to think about how the two catastrophes are related—how they may somehow make each other worse. Nobody has drawn a more direct and surprising line between them than Postmedia reporter Sam Cooper. He’s spent the better part of two years on an investigative series uncovering the way organized crime groups use casinos to launder drug money and invest in lucrative Lower Mainland property. Cooper has said those actions don’t go far enough, urging the premier to call up Prime Minister Justin Trudeau. I recently caught up with Cooper to ask him how this all works, and what he thinks should happen next. VICE: There’s a lot going on in your casino money laundering stories. What are you seeing as the major dynamics? Sam Cooper: Since 2015 and before that I’d been working on a big question. We knew a huge amount of money was coming over from Hong Kong and Mainland China for a number of years, which hit peak velocity after 2010. So the question was, if people could only bring over $50,000 per year under China’s rules, how was the money coming in? There had to be something either grey market or black market. If the government’s not going to help you, and you feel the need to get money out, there are ways to do it through underground banking. What this story showed was much worse than what I suspected. Cells of gangsters that are connected to triads here, in Toronto, in Mainland China and Hong Kong, were taking drug cash from the streets of BC, and found an ingenious way to wash it. But it seems they were just operating so fast and so loose, law enforcement had to recognize it, and casino operators recognized it, and yet it went on for a while. The main discovery was that gangs are using drug cash from the streets of BC, accessing these money service businesses that act as underground cash-holding banks, then were able to wash it through casinos by recruiting giantly wealthy people from China to come to BC and gamble, as way to get money out of China. How do you know it’s drug money? And how connected is all this to the current fentanyl overdose epidemic? The RCMP’s investigation started surveilling people in and around casinos, mostly River Rock casino. It’s well known that Asian organized crime figures like the Big Circle Boys have been into trouble around River Rock for years. Folks will remember Betty Yan, she was a loan shark who was executed near there. So the RCMP started following the people dropping suitcases and hockey bags of cash for gamblers who showed up at River Rock. They followed these criminals who were delivering the cash, ID’d their licenses, their cars, and they followed them back to a so-called cash house a 10 minute drive away in central Richmond. So that was really the break in the case. Surveillance found people they knew were drug dealers bringing in suitcases to an apparent money services business in a Richmond office tower. That’s how they were able to prove that it was drug cash. This was an incredible case, as we’ve never really seized this much cash from the streets, all in twenties. When law enforcement capture it they can do lab analysis and find what kind of drug dust is on it. Police said they felt lucky they found it in 2015, because it was before fentanyl crisis hit. We know a lot of fentanyl coming in from labs in Mainland China—Vancouver is apparently a premium gateway for that trade. These same people that were implicated in the scheme—mostly drug traffickers—are connected to the same organized gangs that are heavily into the fentanyl trade right now. How do we know a chunk of this money ends up in real estate? There’s really two big sources of information that allowed me to make that case. One is BC’s gaming policy enforcement branch did an audit of the high rollers at River Rock who were mostly associated with this scheme—this general trend of people being recruited from China to gamble and bringing in suspicious $20 bills, many of them linked to the same criminal cash delivery network. The audit looked at the claimed occupation of 800 high rollers, and 135 of them—the most number and most volume of chips purchased—declared themselves, and were known to be real estate investors, developers or salespersons. Most from Mainland China. Whether they’re incorporated real estate investors or just the people buying eight to ten houses and leaving them vacant, that’s not clear. But they declare themselves as in the real estate business and claim that’s where their wealth is from. That’s a good link between real estate and this alleged scam. The other one would be a level of information I was able to get through the names of about 40 people who according to RCMP and the BC Lottery Corporation were directly connected to the drug cash delivery network. Some of these people may just be wealthy business persons from China, some of these people law enforcement information indicates are closely associated with organized crime. With those names I looked at real estate records, land titles, BC civil court cases, and I found the same drug gangsters and private lenders were giving out real estate loans to some of these gamblers. What else do we know about these international organized crime groups? In the RCMP terminology they’re transnational crime groups. 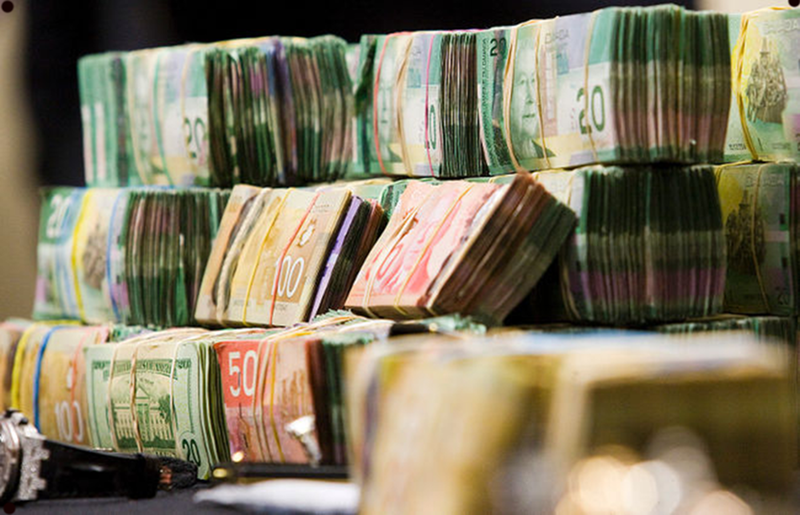 The RCMP investigation showed this one alleged illegal cash house that was central to the scheme, which was connected to 600 bank accounts in China, was also connected to drug purchases in Mexico and Peru, and even connected to financial activity in Iran, that the RCMP believed was terrorist financing. I mentioned the Big Circle Boys, they’re a triad that got a good foothold in Canada through Vancouver since probably mid-90s. They’re connected to big names associated to violence around River Rock, associated to illegal casinos in Richmond, associated to prostitution and loan sharking. At one time the number one wanted man Lai Changxing, he had something like five to seven billion dollars in smuggled wealth. You’ve reported that gambling regulators and casinos knew about all this for a long time. How do you know? Through documents I understand the main guy known to be associated with suspicious transactions was known to casino operators and the BC lottery corporation in 2012. The allegations at the time were very serious, with very serious social harms. I have strong information showing people in business and casinos and people in government knew how allegedly bad these people were and knew how much money they were flooding into casinos. Did the government make it worse in your mind? The salient question here is in 2009, Minister Coleman disbanded an illegal gaming unit, and from 2010 to 2015, I’ve reported that data showed suspicious transactions just went up in orders of magnitude through that period. So it looks pretty bad that they disbanded a unit that was really tied into the harms of organized crime and then things just went nuts. I think it’s fair to say for some reason they took their eye off the ball—that’s the nicest thing you can say about the government’s actions here. We’re talking $2.5 to $2.7 billion in revenue for BC lotteries and gambling. Is there a conflict between the revenue that’s pouring into BC, both into public purse and to some of these casino operators who are also government donors? At this point I think it’s fair to say there is. So should this new government be acting faster? You had said earlier this month that John Horgan should be calling up Trudeau and pushing for a national task force. I really do. They’ve appointed a very well-respected independent reviewer, Peter German, so that’s a step, but John Horgan, and especially David Eby, were on the soap box during the campaign saying we need a task force to look into suspicions of crime and money laundering in real estate, and they’ve been pretty silent on that since they’ve taken office. I won’t suppose why they’re silent, I have theories, but from my studying of the American law enforcement system—you can say what you want about War on Drugs—but when you have a criminal operation that is growing, violent and dangerous, they set up task forces and they handle it. Take the investigation of Silk Road’s Dread Pirate Roberts, they set up a task force. I don’t see that here. I see a lot of social harm in housing, real estate, drugs. The documents I found didn’t name fentanyl, but they specifically said these gangs need money laundering through casinos to grow, and the highest level of investigation should be taken into the proceeds of crime in BC economy. I don’t see that happening yet from this current government.